Welcome to Three Little Pigs, Mini Pet Pigs! Welcome to Three Little Pigs, mini pet pigs! We are a well-respected mini pig breeder who takes great pride in breeding some of the best quality Mini Pigs in Canada. It’s a thrill to offer these wonderful, quirky little creatures to people across the nation! 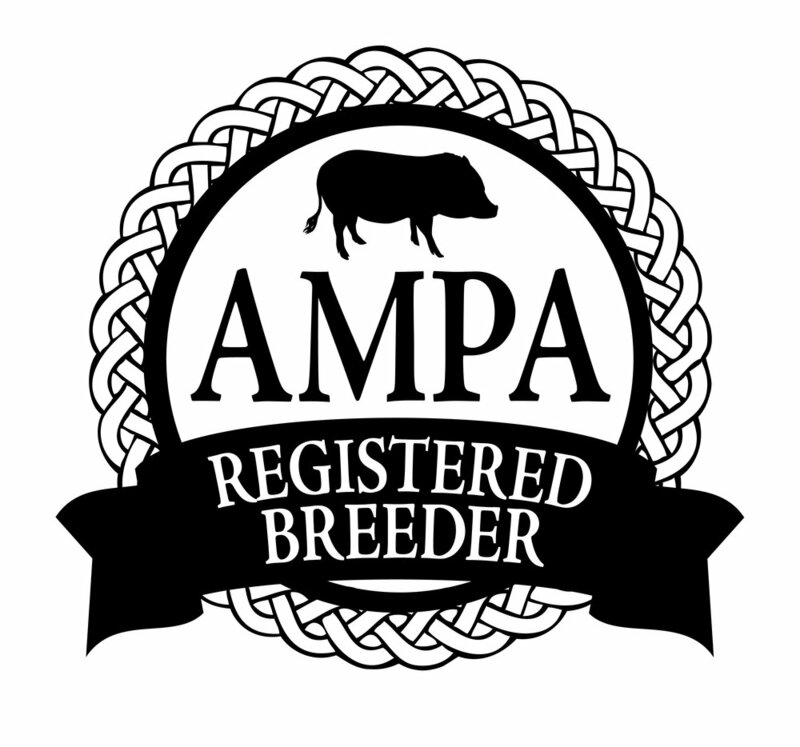 We are happy to announce that we are a Registered Breeder with the American Mini Pig Association. This association holds the highest of standards for breeders to follow, aiding in the positive, ethical progression of the Mini Pet Pig. Follow our journey on Facebook here! Do you want to learn some fun and interesting myths and facts about mini pigs? !click here! Located near Kingston Ontario, Three Little Pigs is one of Canada’s premier leading breeders of Mini Pet Pigs. We are one of the only breeders in Canada that are a registered breeder with the American Mini Pig Association. The American Mini Pig, and Juliana Mini Pig is what we breed here at Three Little Pigs! At Three Little Pigs, all of our mini pigs are well socialized living amongst our family in our home. Socialization makes ALL the difference when adopting a miniature pet pig. We spend hours on end with each of our piglets to ensure that our miniature pigs leave us friendly and ready to receive all of the love and affection that you are prepared to pour into them. They leave our home litter box trained and may even already know a few tricks! Our breeding program includes a variety of colours. Every litter is unique! We have great pride in offering some of the smallest Mini Pigs in Canada. We have been careful to trace lineage of each of our mini pigs to ensure that their size is not a result inbreeding, nor have they descended from any inbred stock. We DO invite any interested new and interested mini pig parents to come and visit us in person. First, we do ask that you complete our Adoption Questionnaire. If you do not live locally, we are happy to “face time” or send video footage. This may sound silly, but much of the negative media attention that miniature pet pigs have received has been a result of a few dishonest breeders that sell piglets that end up being very large. We do not want to contribute to that by selling you a mini pet pig that does not "fit" into your lifestyle. Remember that your piglet's full-grown size will be in the range of the parent's size - and because our miniature pigs are some of the smallest in Canada, we are confident that you will be thrilled with the size. Our relationship with our mini piglets does not end when they leave us. We are here to answer any questions and to provide help and lifetime support to Mini Pig Parents. We cherish our relationships with each new pig parent and hope that each of our mini pet pigs end up in a home that they thrive in and in which the piggies are well loved.